At 1994 G.S.D.C.A.Inc. 22nd National Championship Show & Trial. in (N.S.W.). 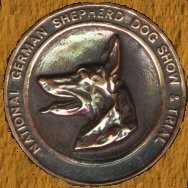 Zack won the Utility Dog Obedience class and he also won the Bronze Medal in the run off for Best In Trial. Zack, I will never forget you, you were my best friend, you have taught me so much , and to me, you will always be my hero , and you surely were the wind beneath my wings. You helped to get me where I am today. "The one absolutely unselfish friend that man can have in this selfish world, the one that never deserts him, the one that never proves ungrateful or treacherous, is his dog. He will kiss the hand that has no food to offer; he will lick the wounds and sores that come in encounter with the roughness of the world. When riches take wings and reputation falls to pieces, he is as constant in his love as the sun in its journey thru the heavens." Zack was my introduction to the G.S.D.C.V.Inc. 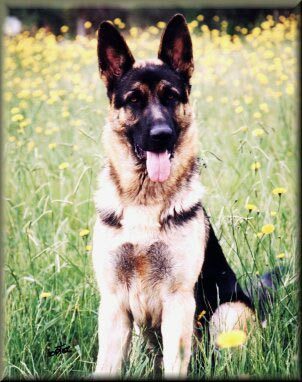 (Skye Branch) which I joined in late October 1989, he was the first dog I ever trained in Obedience, even though Zack was a very large dog (70 cm) at the shoulder, he was always a very happy and agile worker, from a puppy he always had a craving to retrieve. In between exercises at obedience trials he was always clowning around and showing off especially when there was a big crowd watching, the more they laughed, the more he would do it. He loved to make a fool out of me. Zack gained his CD. title on 16-3-1991, CDX. title on 7-12-1991 & UD. 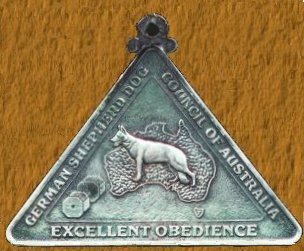 title on 21-3-1993, In the obedience classes he was eligible to compete in, he won many obedience trials in Victorian Canine Obedience Trials. 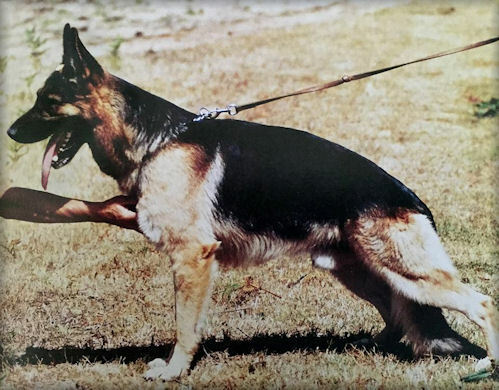 He had many high placings in G.S.D.C.V.Inc Restricted Obedience Trials. He also had many high placings in G.S.D.C.V.Inc. Inter-Branch Fun Day competitions. Zack has two Excellent Medals in Obedience one for Utility dog and one for Open Dog.